It’s a new year and I am thankful for it. I started last year with a feeling of hopelessness. There seemed to be no end in sight to my PTSD and I was losing the will to live. Work for the first nine months was a see-saw of ‘we have work for you; no we don’t”. I was constantly on edge, wondering if I would be retrenched. I had chosen Forgive as my word for the year with no idea how it would be a life changing decision as I consciously made the choice to forgive and let go. I had planned a reading list for the year but ended up not reading most of my intended list. Instead I got stuck on two books that changed everything for me and weren’t even on my original list. Through them I learned a great deal about myself and they also aided in my quest to forgive. To be honest, I only made real progress in the last few months of the year. For most of the year I thought about dying a a lot and am so thankful for the people in my life who could see the signs and often intervened, particularly my friend D and the group of ladies she rallied to walk part way of my journey with me. I owe you my life. The year was tough but ended it with me feeling hopeful. Between the work I did internally and my therapy, I finished the year feeling hopeful. For the first time in my life, I believe I can be totally free of PTSD which I have had to some degree since I was a teenager. I have some way to go yet, but I am nearing the end of this struggle. I have not been able to do it alone and will be forever thankful for the help I have had along the way; for those who have given me the tools to not only cope and survive, but also to begin to thrive a well. 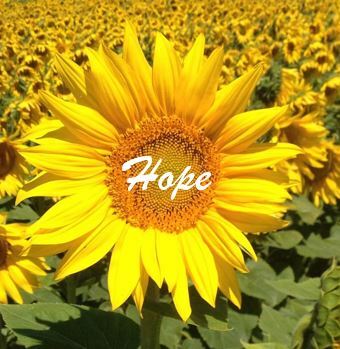 My word for 2018 is Hope. It has been popping up in various forms in the past few weeks and seems appropriate. Please remind me that I have hope if I start to doubt it. And again, a heartfelt thanks to those who have not let me go this past year. I am so honoured to be your sister. I am so honoured to see your journey. I am so humbled by your faith and tenacity to keep moving forward. You may well be the most gutsy lady I’ve ever met. I am so grateful to God for his love over us that means your story can be what it is today. I honour you woman warrior!! I have always been grateful that God had your path cross mine. Even though we don’t talk constantly I know you are there, and there to help anyone in need. I thank God that you are now seeing light at the end of the tunnel. Just a short trip now, just a hop skip and jump. Stay powerful and strong in the Lord Jesus Christ. He is our savior.